The Dan Holt Team is the most successful southwestern real estate team because we work the hardest, but also because we are sure to equip our clients with the most information possible. In order to make sure you get the home of your dreams, it is important to first understand exactly what it is that you are looking for. As such, The Dan Holt Team provides you with resources that allow you to learn more about different communities in the greater Springfield, MO area. One of the types of communities you may be interested in learning about is the gated communities in Springfield. If you want to ensure that your property is safe and secure, a gated community may be perfect for you. The Dan Holt Team offers learning resources about each of the four gated communities in Springfield, MO. Lions gate is a newer subdivision on the southern side of Springfield. The lots and homes in Lions Gate offer some of the finest views in Greene County. Recreational amenities include swimming pool, tennis courts, community pavilion, bathhouse, water slide, basketball court, kids play area, barbeque grills and a picnic area. Children who live in Lions Gate will attend these Springfield schools: Gray Elementary School, Cherokee Middle School, and Kickapoo High School. Emerald Park is a gated subdivision in East Springfield with close access to Highway 65 and Sunshine Street. The neighborhood is in close access to restaurants, Sam’s Club, Harter House, and shopping centers. Emerald Park has walking trails, a pool, tennis court, and basketball courts within the entrance for residents. Emerald Park is very family friendly with seasonal events to get the whole community involved. Children who live in Emerald Park will attend Glendale High School, Pershing Middle School, and Wilder Elementary School. Bristol Park is a gated neighborhood located in the northeast area of Springfield. Bristol Park is located next to highway 65, restaurants, and shopping. This is one of Springfield’s newest gated communities. Lots range from $60,000 – $300,000. At Bristol Park, you can find the home that is perfect for your budget. Children who live in Bristol Park will attend Glendale High School, Hickory Hills Middle School, and Hickory Hills Elementary School. Stone Meadow is located on the edge of Southeastern Springfield. The residential community was founded by Rob and Lezah Stenger, owners of Stenger Homes, one of the top home builders in southwest Missouri, and was planned to enhance the natural beauty of the Ozarks. The homes in Stone Meadow are newly constructed by Stenger homes. They’ll also help you build a custom home on an empty lot. The building sites available offer seclusion and the availability to add on large walkouts to the backyard. Many residents of the community were originally drawn to it because of the wooded areas, the lushly landscaped lawns, and the privacy it offers. Benefits of living in Stone Meadow are not just limited to the scenery — the location is within minutes of shops, schools, medical centers, and churches. Families with children will attend these Springfield schools: Gray Elementary School, Cherokee Middle School, and Kickapoo High School. 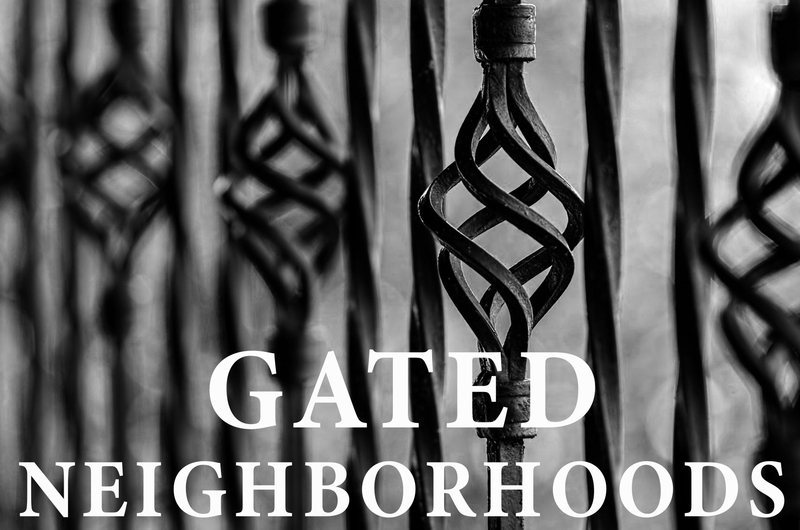 Interested in Learning More About One of These Gated Neighborhoods? Contact The Dan Holt Team for more information. The Dan Holt Team is committed to ensuring that you get matched with your dream home. Call us today at 417-447-2782 to learn more.